I have always taken lots of pictures and love the memories they create looking back at them, so I thought I would record some of them. One day hopefully my Family will look back at them and smile. 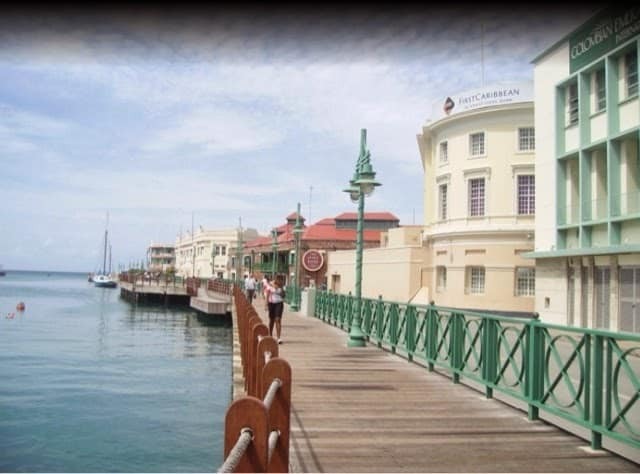 This was a whistle stop tour of Barbados we were on our first ever cruise and Barbados was our debarkation port. As a result we only got to spend about 4 hours in Barbados but what we saw was beautiful. When I took this picture we had just seen a sea turtle pop his head out of the water, Jack was 7 and Joe was 2, they were amazed at the sight and so excited. I remember the hot sun on my face, Chris’s Mum & Dad and some friends were there with us, and the Barbadian people were the warmest friendliest people, we felt so at ease. I wish we could have stayed longer. I love this photo, delusional I know but I often look at it and think it looks like a picture out of a travel brochure. Next Post Build a Bear Workshop, Customer Service Review.